Nanotechology has evolved by leaps and bounds over the past few years, and we’ve seen scores of big developments made possible by designs smaller than the eye can see. To get you up to speed on the latest and greatest in nano-scale technology, we’ve put together a mind-bending list of six of our favorite inventions – from water purifying tea bags to self-heating roads and clothing that cleans the air you breathe! Millions of people around the world have limited access to drinking water – and diseases caused by contaminated water sources kill 1.8 million people each year. As both private and public entities continue to look for viable solutions to the problem, one promising development comes to us from South Africa, where researchers have used nanotechnology to create a water-purifying tea bag that costs just half a cent. In order to activate the tea bag, the user places it into the neck of a water bottle and then drinks water that passes through it. The design is portable and instantly effective! However, none of this would be possible without the help of nanotechnology – researchers have combined ultra-thin, nano-scale fibers with grains of activated carbon to filter harmful contaminants and kill bacteria. Nanotechnology has already had a significant impact on the world of medical science – however the next generation of nano-scale medical technology will blow your mind. For example, researchers from the University of British Columbia are currently working on a line of nanobots that will aim to diagnose and heal the body from the inside. In order to accomplish this amazing feat they have developed artificial muscles that are extremely flexible and strong enough to rotate objects a thousand times their own weight. By spinning carbon nanotubes into helical yarns, researchers were able to control the yarn with an electrochemical charge that causes them to twist and untwist. The muscle can be incorporated into bots with artificial flagella, or tiny tails that would rotate to propel them. When it comes unpredictable winter weather, maintaining safe driving conditions is a major concern. Luckily, over the past few years researchers at the University of Houston have made some great strides in turning the threat of icy roads into a worry of the past. Their self-heating roads are embedded with sheets of carbon nanofiber that are warmed by an electrical element. It only takes two hours and 6 watts of power to take a block of concrete from -10 to 0 C. We probably won’t see streets across the states upgraded with the technology come December, but areas known for having dangerously icy conditions could be prime candidates for the first installations. Today’s solar-powered clothing sadly lacks fashion sense – garments typically consist of a solar panel strapped to a backpack or shirt. But this could soon change, as a team of researchers at the Georgia Institute of Technology and Xiamen University have developed a flexible tube-like photovoltaic cell that can be woven discretely in to fabric. The technology uses semi-conducting nanorods made from carbon fibers and titania that look similar to the bristles on a hairbrush. The industrial process to create the fabric is rather laborious and time-consuming, but these nanorods can be applied to photocatalysts to generate energy from the sun. 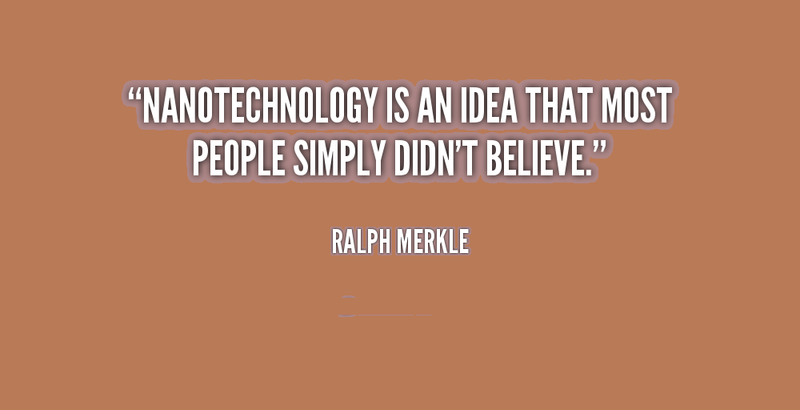 The technology is still in its early stages, but we hope to see more breakthroughs on the horizon.